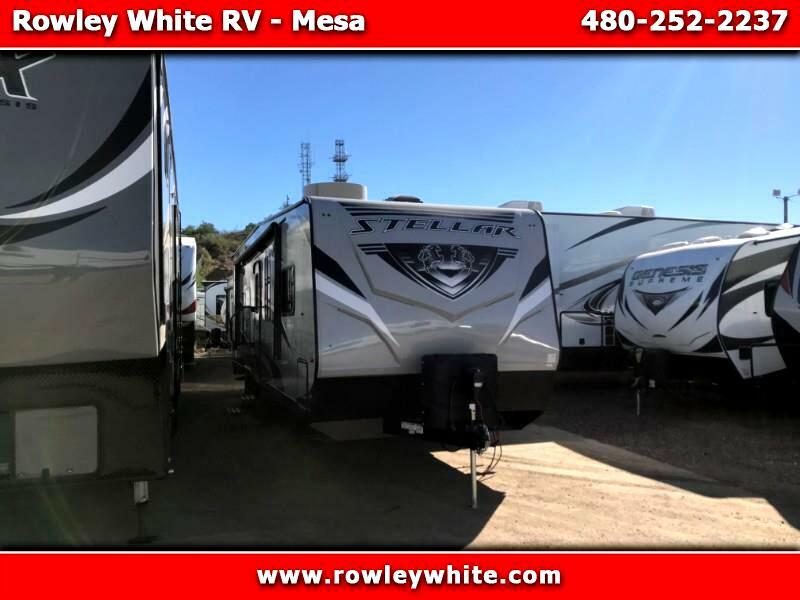 2020 Stellar 27FS Toy Hauler by Eclipse RV with Generator! 2020 Stellar 27FS Toy Hauler with Generator! Dual electric high clearance queen bunks with with 70" under the bottom bunk in the up position OR 82" under the bunk with dinette in the downward position! *There is 13 feet of cargo space to the first cabinet and 15 feet on the other side with 70" under the bottom bunk in the up position OR 82" under the bunk with dinette in the downward position! Visit our website at rowleywhite.com to see our full inventory. If you're looking at an Attitude, Stellar, Sandstorm, Power lite or any other brand of toy hauler anywhere else, give us a call or stop by, we will make it worth your while! Message: Thought you might be interested in this 2020 Eclipse RV Stellar.